Many of us have already used Apple Pay and Samsung Pay, which both use fingerprint scanners, or Mastercard’s “selfie pay” that uses facial recognition technology, and those forms of payment are here to stay, says Majd Maksad, founder and CEO of Status Money, a personal finance management site. But biometrics are about to get a lot more exciting. Here's a look at what’s ahead for the average consumer and how biometrics are going to impact our daily lives even more than they do now. The vast majority of people — 86% — are interested in using biometrics to verify their identities to make payments, according to a survey by Visa. Why? People don’t like using passwords. 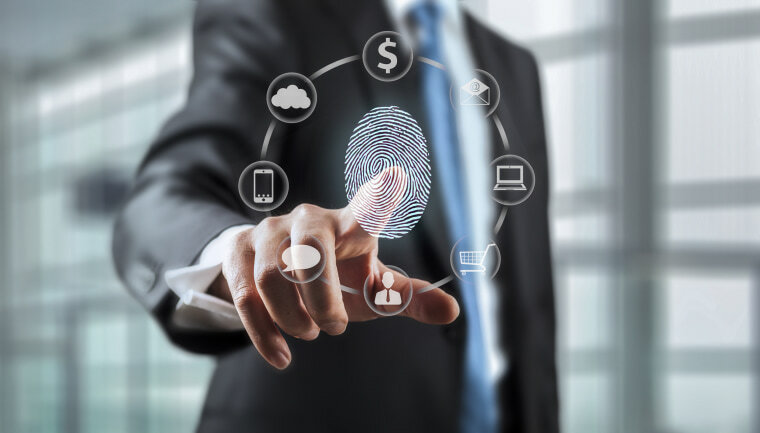 They’re cumbersome and easy to forget, and biometrics can simplify the process, explains Mark Nelsen, senior vice president of Risk Products at Visa. Right now, biometrics are predominantly being used for mobile payments, both online and in-store. With the in-store method, commonly known as “contactless technology,” your fingerprint unlocks your phone, and you tap your phone on the merchant’s POS (point-of-sale) reader. In an instant, you’ve verified that you’re the genuine owner of the device, and your payment has been sent securely to the merchant, Nelsen explains. Currently, more than 1 million stores in the U.S. have contactless technology. When you’re online, the same basic process occurs, only there’s no need to tap your phone on a reader, and depending on your device, you can use either facial recognition or your fingerprint to confirm you’re you. In some places, such as Europe and Latin America, users may be “challenged” to confirm their identities by texting in selfies. The next time you enroll as a new customer somewhere (particularly a financial institution, like a bank) you could be asked to sign up with your picture, giving the merchant the confidence that it can always verify you are who you say you are, Nelsen explains. Of course biometrics aren’t only used for purchases. Walt Disney World park-goers are already familiar with the bracelets — “MagicBands”— that serve as as your ticket and track your movements when you’re inside the amusement park, explains Jeff Taylor, founder and managing partner of Digital Risk, a provider of quality control and compliance solutions. The flexible plastic bracelets work with RFID chip technology, and also serve as hotel room keys and as your means of accessing the Fastpass+ “cut-the-line” service. Over the next decade, biometrics are poised for the most growth in physical locations, or in-store, Maksad says, but there are a few barriers to entry. The first is that the value proposition to consumers is unclear— it’s almost just as quick to use a credit card as it is to take out a mobile phone and tap it on a POS reader. The second is that retailers will have to retrofit all their stores with POS systems equipped to read consumers’ phones, which will be incredibly costly, Maksad explains. Invisible transactions — like the kind you have with Uber where the payment is embedded into the service via a stored credit card— is the “holy grail” for merchants, Maksad says. “You never even think about the payment, you get in, get out, and it’s completely seamless.” More merchants are pioneering technologies like this, such as Amazon with “Amazon Go,” a concept shop that was tested in Seattle earlier this year. To make a purchase, customers only needed to check in with their Amazon apps when they arrived, and then they could take what they wanted from the store without having to check out or physically make a payment. A supermarket in the UK called Co-op is also testing an app that lets customers scan the items they want as they shop, paying for them instantly — again, no cashier required. “With all of these options, the verification of your ID is performed somewhere in the background, you choose your items, and you’re good to go,” Maksad says.